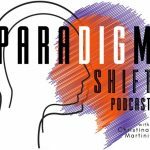 In this episode, Christina Martini and Jeanette Bronée discuss:. How millennial’s are changing the work environment. Scheduling in your self-care, including meals, throughout the day. It is important to acknowledge what is and is not working in your life, accept what you may not be able to change right now, and work towards solutions to help you achieve your goals. Mindfulness, particularly as it relates to self-care, is critically important. About Jeanette Bronée: Jeanette Bronée is a performance strategist, international TEDx and keynote speaker, author and founder of the company Path for Life Inc.
Jeanette helps leaders and companies rethink performance by asking the “Right Why®” so they can lead themselves and their people better and achieve sustainable success. She is passionate about how we can create a culture of care by unlocking what truly drives performance, engagement and motivation from the inside out. For 15 years, she has coached clients and delivered speeches about how physical health and emotional, social and mental wellbeing affect our performance and prevent stress and burnout. She shows how our mindset affects our self-care habits at work and at home and believes that when we leave our humanity at the door when we go to work, we leave behind our most valuable resource for success. She incorporates her background in integrative nutrition, mindfulness and hypnotherapy to help people work better by working healthy. Born in Denmark, she believes that a work-culture of care drives “happy performance” and that investing in people’s health at work, is the most important foundation for sustainable success, both personal and organizational. For nearly 25 years, Christina (Tina) Martini has been an intellectual property attorney practicing in BigLaw. 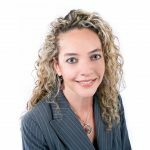 Tina is a partner at the law firm McDermott Will & Emery and focuses her practice on domestic and international trademark and copyright law, as well as domain name, Internet, social media, advertising and unfair competition law.